Create an original social share. Step 1. 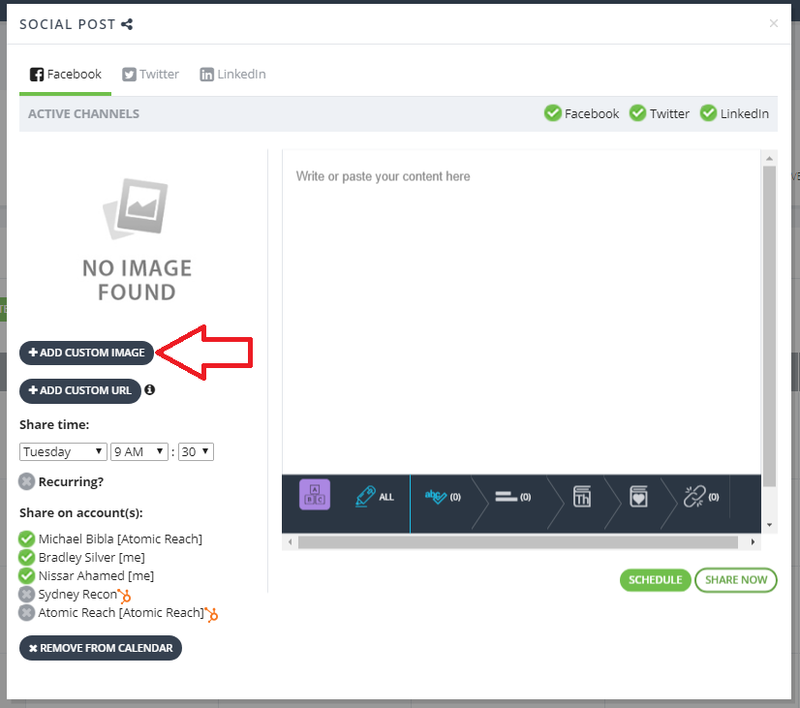 Click on the Create Social Post button or directly on a time slot in the calendar and choose the Create Social Post option. Step 2. In the pop-up, select the social networks you would like to share your social share to. Step 3. 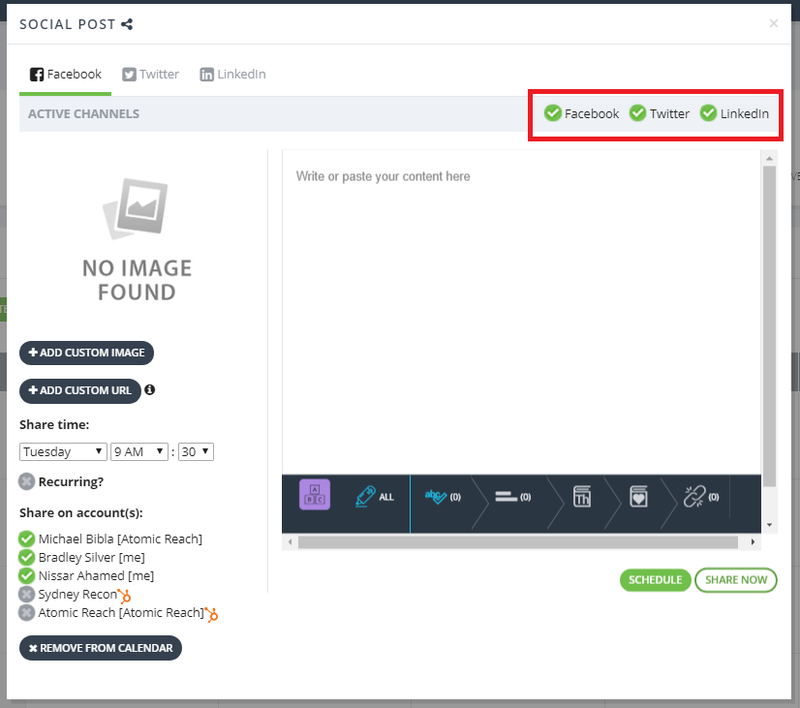 Attach any images you'd like to accompany your social post. Tip: Social posts gain a lot more engagement when they are accompanied by an interesting image. Step 4. Double check the correct time and social accounts are selected. Step 5. Add in the accompanying comment for each social network. Enjoy a slim version of the same editor from Create to help you craft the perfect comment. Step 6. You can share the social post to your network immediately via the Share Now button or schedule it into your calendar for the selected time in Step 4 via the Schedule button.